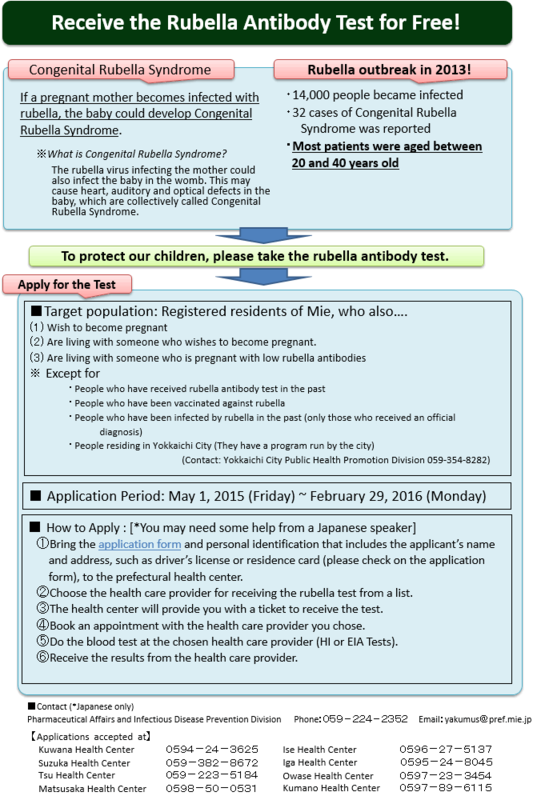 To prevent Congenital Rubella Syndrome, Mie Prefecture is currently providing rubella antibody test for free, especially targeting women wishing to become pregnant. Registered residents of Mie, who also…. *Except for people meeting certain criteria. For more details, please refer to information below. 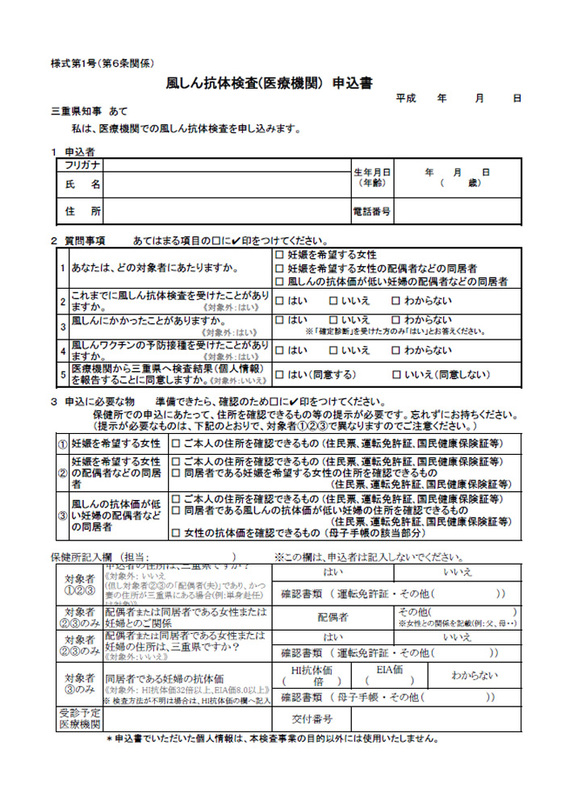 ・Bring the application form and personal identification that includes the applicant’s name and address, such as driver’s license or residence card (please check on the application form), to the prefectural health center. ・For more details, please refer to information below. ・People who receive results that show low immunity against rubella should consider getting immunized. ・Some cities cover part of the cost for immunizing against rubella. ・Please hold on to the results of the antibodies test. It will be required in the process for covering the immunization cost.